Welcome, foolish mortals! 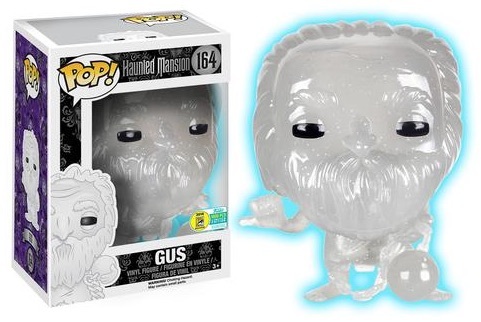 The Funko Pop Haunted Mansion ghost figures are dying to meet you! This spooky attraction, which is located at every Disney theme park, boasts that there are "999 happy haunts." 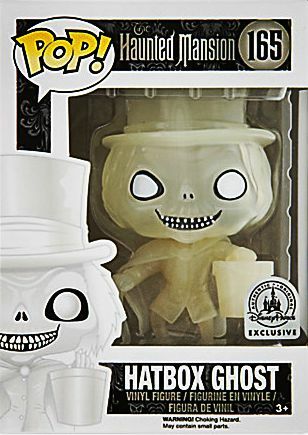 Collectors can get started on that ambitious total with a handful of memorable ghosts from the ride. 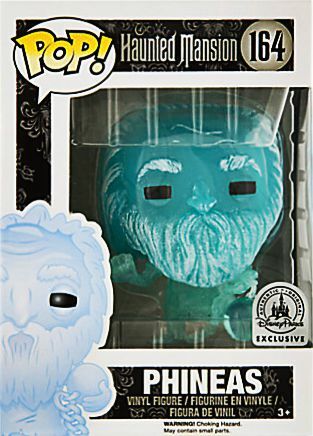 As part of the main Pop! 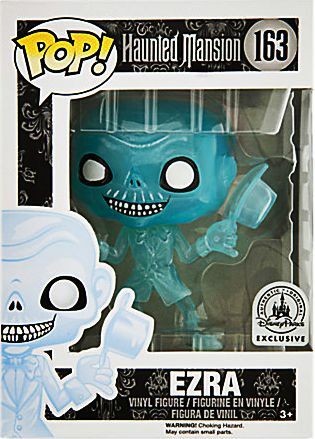 Disney line, each primary ghost option for Funko Pop Haunted Mansion, including Ezra, Gus, Hatbox Ghost and Phineas, is a Disney Parks exclusive. 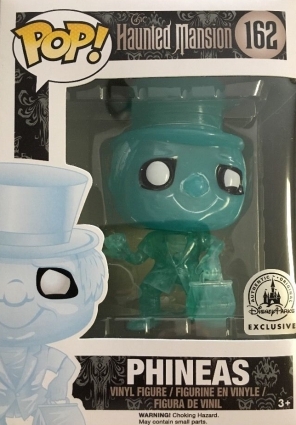 Those who enjoy collecting production errors should take note of the two options where the name and numbering do not reflect the figure inside the box. 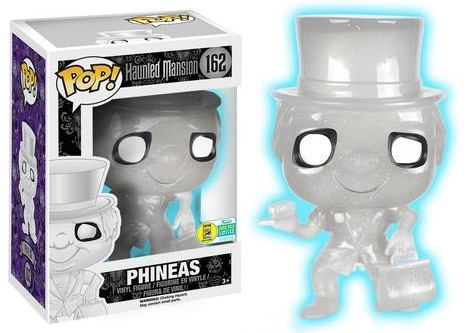 The first mismatch is for #162 Gus with Phineas inside, while #164 Phineas includes the figure for Gus. 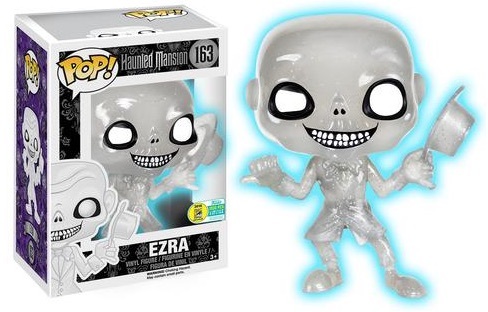 Shop for Pop Haunted Mansion Figures on Amazon. 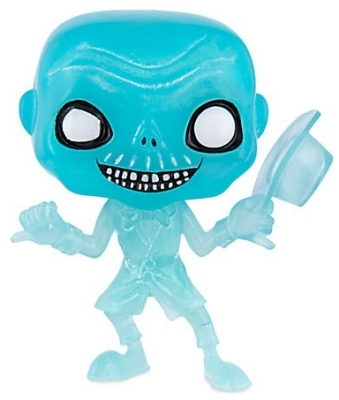 What could make a specter more frightening? 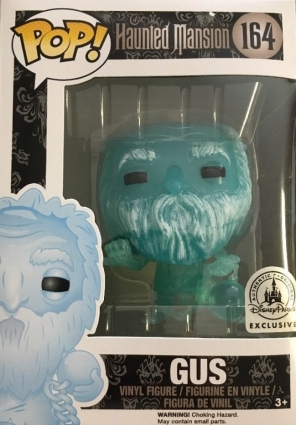 One that glows, of course! 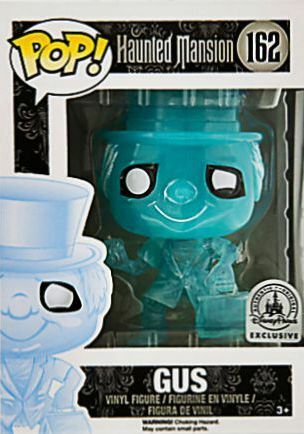 Issued at the 2016 San Diego Comic-Con, the hitchhiking ghosts (found at the end of the ride) also have a white glitter glow-in-the-dark variant. 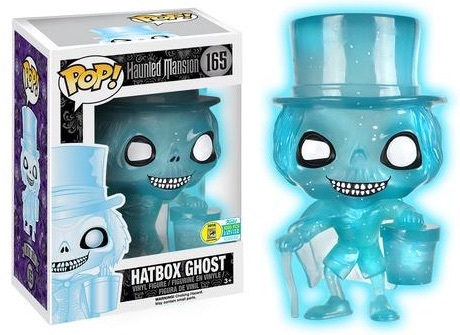 Contrasting the base white/clear version, the SDCC GITD figure for Hatbox Ghost glows blue instead. 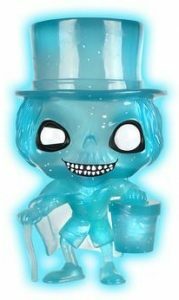 Funko Pop Haunted Mansion Phineas Glow SDCC 2016 LE 1000 Pieces #162 NIB.